Ebay isn’t just about photographs that are more than 100 years old. 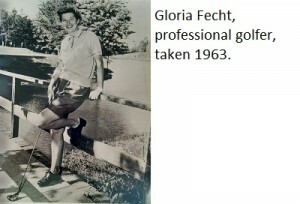 This 1963 photograph of Gloria Fecht was purchased through an auction on Ebay. Are you only looking for things that are really old? You might be surprised at what’s on Ebay . 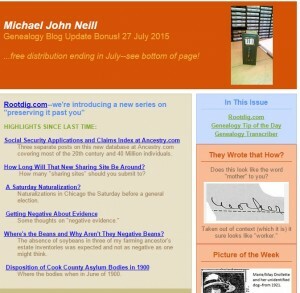 Our sponsor, GenealogyBank has a special July offer for Genealogy Tip of the Day readers, fans, followers, etc. Give it a look! And a big Thanks! 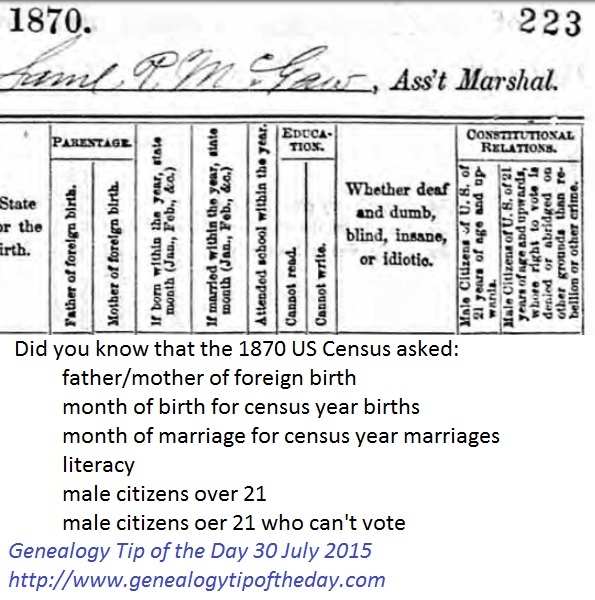 to GenealogyBank for sponsoring Genealogy TIp of the Day. We are posting manually some of the old tips that didn’t migrate correctly to the new server. For a few days you will get quite a few tips instead just one. Hopefully this will be done within a week. Thanks for your support of Genealogy Tip of the Day and thanks to a reader for letting us know which tips were missing. An online tree indicates that an aunt of mine was married in Cincinnati, Hamilton County, Ohio, in 1869. The only source that tree has for this date are two other online trees. There is no additional information to indicate how the information was obtained–no minister or justice of the peace name, no church, address, etc. A search of extant Hamilton County marriage records did not locate the marriage. The only way I know that my aunt married is because her husband’s name is listed when she inherits from her brother’s estate a few years later. That estate record is my evidence for the marriage and I’m using the date they are mentioned in the court record as a “married by” date. With any “new” database (such as the recently released “Social Security Applications and Claims Index, 1936-2007″), the temptation can be to search as quickly as possible for as many individuals as one can. That makes it easy to overlook people, search inefficiently, and search the same way for the same people repeatedly. Make a list of the people for whom you wish to search. Think about the life details on those people that you need to search. If you try a variety of ways to search for the same person, keep track of the ways you search so that you don’t search the same way repeatedly and so that you can troubleshoot effectively. And make certain you “clear all” when you start searching on a new person. When Did You Last Read an Actual Book? How long has it been since you last read an actual book? Not a short blog post on a topic, not a “bunch” of Facebook comments to a post, but an actual book? That book could be genealogy how-to book, a historical reference, or something similar. But getting off the temptation of the internet and actually reading something and studying it may cause you to come back refreshed with new ideas for your research. That time spent reading a how-to book or reference isn’t time wasted. From now through 1:00 a.m. 29 July 2015, a subscription to 52 issues of Casefile Clues is only $17. Your subscription can be processed here. 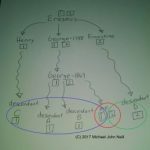 Easy to understand, well-written, and genealogically sound, see records discussed and “next steps” planned out. We have updated our list of back issue topics here. If an ancestor marries on 1 December 1901 and it is indicated that he was “of legal age,” on that date, then (if 21 is the legal age to marry) he was alive by 1 December 1880. Marrying, buying property, naturalizing, and other “legal acts” require a person to be of age even if their age is not stated in the document. Of course people will lie about their age, but that’s a separate tip.